The end of July is quickly approaching, and the kids will be back in school before we know it. It’s been such a wonderful and busy summer for our family. We’ve taken several much needed short family vacations and had lots of fun experiences. However, I’m glad the kids will be back to school soon. It’s nice to be back into a routine. We’ve done all our back to school shopping for school supplies, clothes, and shoes. Everything is organized and ready to go. I’m currently also filling up the freezer with lots of easy go-to ingredients for quick easy to make weeknight dinners and afterschool snacks too. 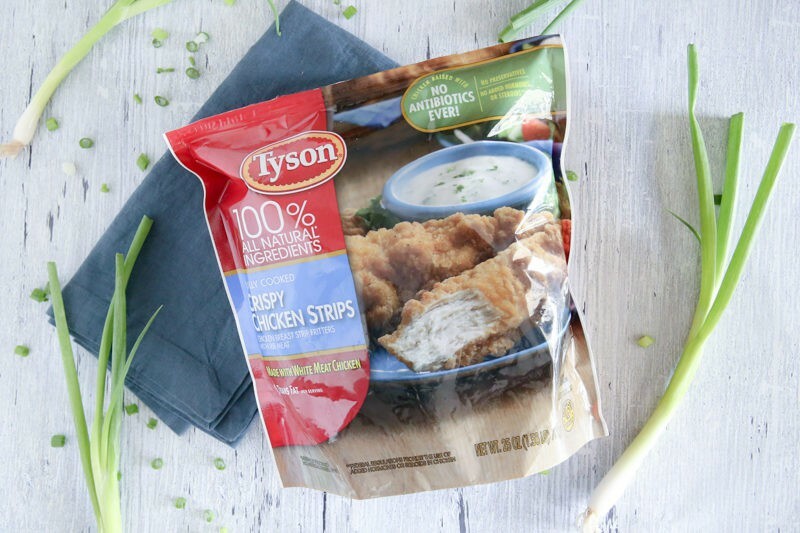 One of my favorite things to keep on hand is Tyson® Crispy Chicken Strips. 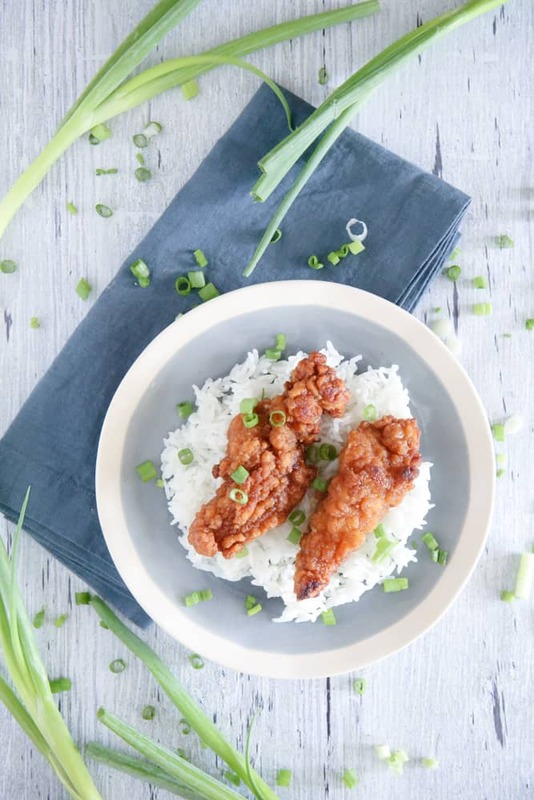 They are so versatile and can be eaten as an afterschool snack or made into a variety of fun, kid-friendly recipes like these sweet and sticky chicken strips and rice. All these items are great for on the go breakfasts, lunches, after school snacks and quick and easy weeknight dinners. This is a super simple recipe to make, and the whole family will love it. 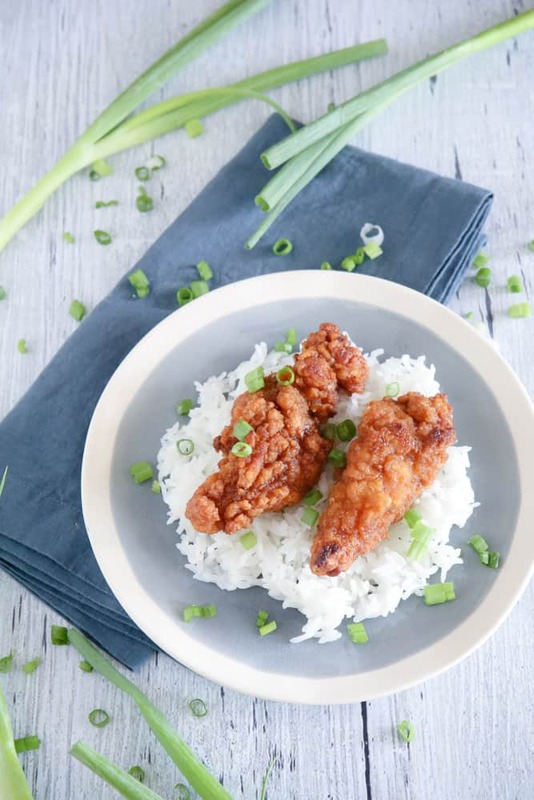 You can use fast cooking rice or ready rice to make this recipe go even faster. I usually put on a pot of rice in my rice cooker or regular jasmine about at 30 minutes before I start cooking dinner. That way the cooker just switches to warm and it’s ready when I’m ready! 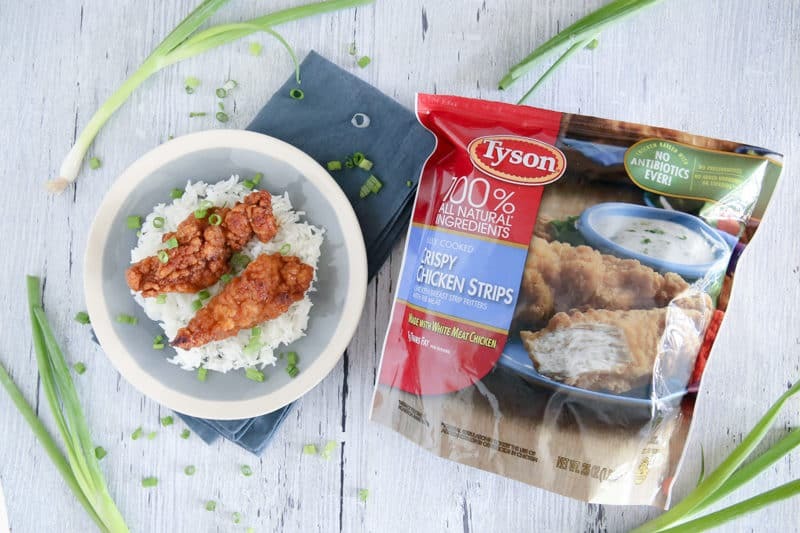 For the chicken, I just start with heating my Tyson Crispy Chicken Strips according to package directions. While they were heating in the oven, I made the sauce for the chicken strips by just combining honey, soy sauce, hoisin, grated ginger, garlic, and a little rice wine vinegar. Be sure to use your favorite local honey. Here in central Florida we use Orange Blossom honey. It’s amazing! For the soy sauce, I like to choose low sodium. That saves some salt in this recipe. For the hoisin, if you haven’t used it before, you can find it in the Asian foods section of your local grocery store. Same with the rice wine vinegar, but you can also substitute regular vinegar or lemon or orange juice too! The grated garlic and ginger are best fresh, but you can substitute 1 teaspoon instead of 1 tablespoon dry ground powders for both of these ingredients also. I always keep a root of ginger in the freezer for recipes like this and just use freshly grated from frozen ginger. It tastes just as good! And I always have garlic in the house, either fresh or a big jar of minced in the fridge. Check out this fun Teen Titan Go! site where you can take a quiz to discover which Teen Titan your teen or tot is and get exclusive savings when you shop at Walmart. They have fun and interactive quizzes, games and best of all, lots of savings offers! Be sure to check out my movie ticket giveaway on my Instagram page where you can enter for a chance to win free movie tickets just in time to see Warner Brother’s Teen Titans Go! 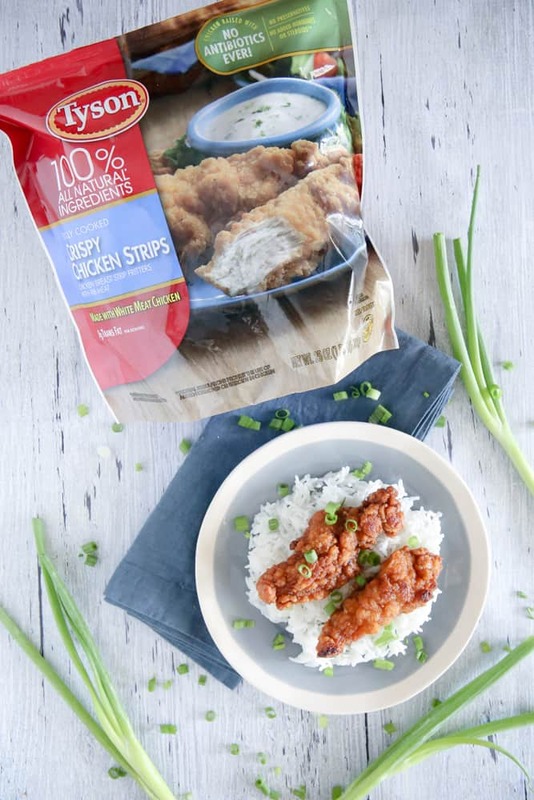 I got all the ingredients including the Tyson Crispy Chicken Strips for this recipe at my local Walmart at a great value. While I was there, we were even able to do some back to school shopping! 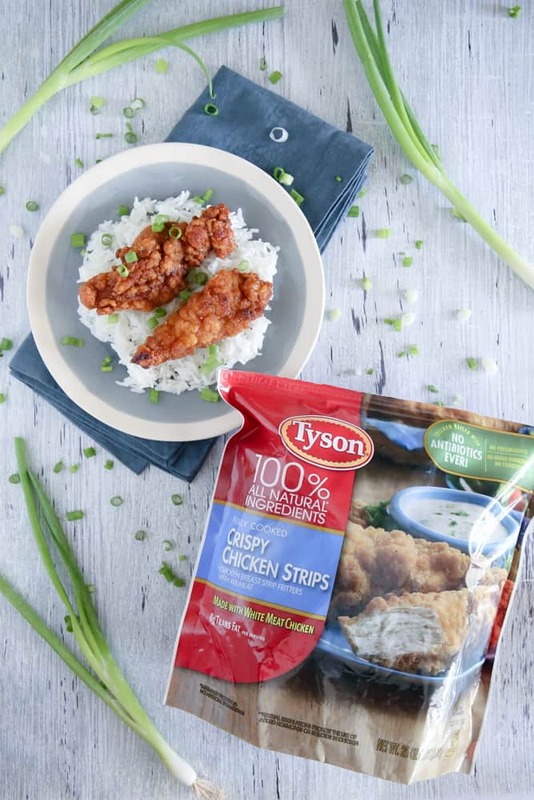 Prepare Tyson Crispy Chicken Strips according to package directions. In a medium bowl, combine honey, soy sauce, hoisin, garlic, grated ginger and rice wine vinegar. Whisk to combine. Toss chicken tenders in the sauce until well coated. Place on a parchment-lined baking sheet and cook 3 to 4 minutes more. 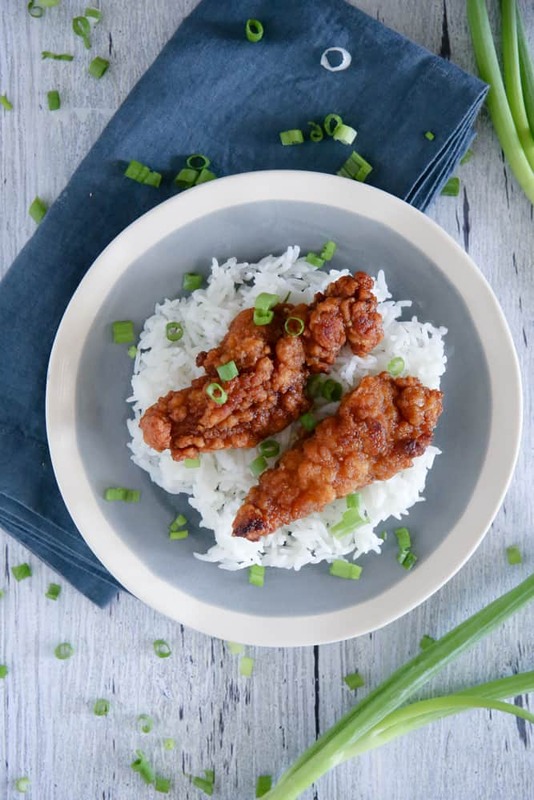 Serve warm over rice garnished with green onions. I was looking for a new way to serve chicken and this recipe fit the bill. I didn’t have any Panko so I used bread crumbs.. I think this is the third time. Lol I tried the Rock recipe for the seasoned flour and used the baking directions. ugh. It stuck to my rack! BUT I loved your sauce a little better, ie, I liked the ginger in your sauce. Its in the oven now. And I went ahead and brushed some of your sauce on the Rock seasoned chicken breast. Lol. Again, you always have amazing recipes! Serving with broccoli and fried rice.